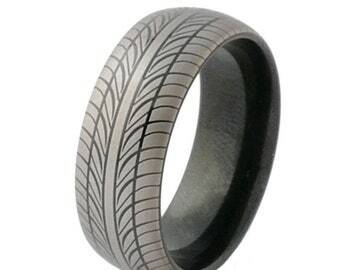 Tungsten Rings are NOT resizable. 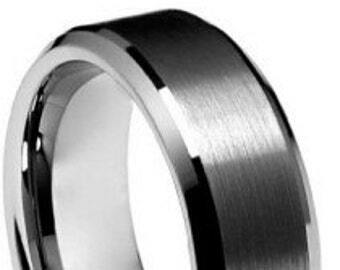 Tungsten is known as one of the strongest metal on earth. 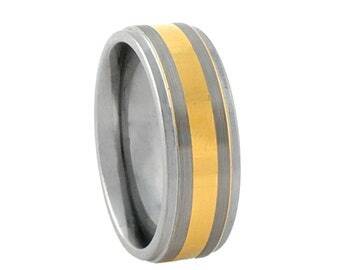 Tungsten 10x stronger then Gold even stronger then titanium. 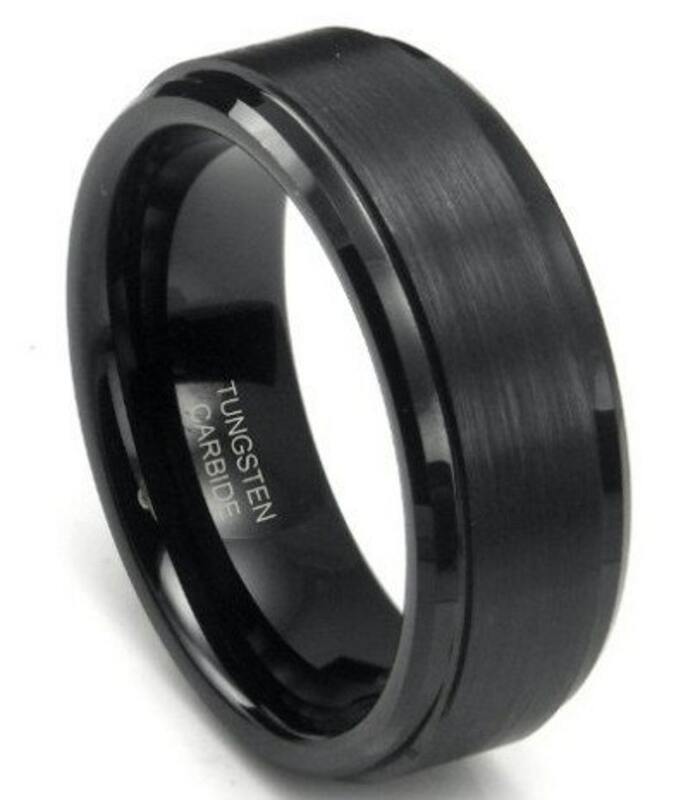 Tungsten Makes a Perfect Wedding Band or Ring for anyone that wants something that will last a life time. Every item will be well packed in a beautiful silk jewelry bag to match the gorgeous jewelry inside. Every piece of jewelry will be shipped within 1-3 business days. Canada Post Shipping typically takes 4-9 business days within Canada and 3 to 10 business days within United States depending on your location. We offer 30 days Money Back Guarantee. If you're not satisfied with any purchase, just ship the product in original condition back to our Ontario, Canada office and we will issue a refund minus shipping chargers which is $8 even for free shipping Items No question asked. 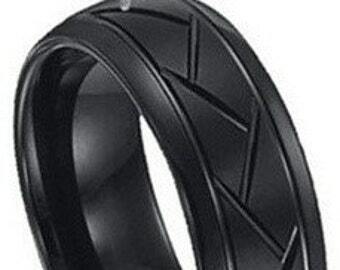 We offer a straight Exchange program for rings to do not fit. Send back the ring that doesn't fit and simply pay a small reshipping fee of $6 Canadian to cover part of the cost of reshipping new larger or small ring to you. The ring is AMAZING! It's a good weight, fits perfectly, the earings that match are perfect too! I love the ring and so does my fiance! It was an amazing purchase! The ring is perfect and fits my fiancé very well. I also love the surprise matching earrings that came with the ring. They are lovely as well. Thank you so much!